Have you ever spent a Saturday afternoon in a high school auditorium, where you went to support your friends and colleagues after they shellacked themselves head-to-toe in spray tan, stripped down to skimpy underwear and then paid people to judge their half-naked bodies? Oh, you haven’t? Well then you and I have had very different work experiences. I spent nearly three years as the managing editor of a fitness magazine at a now-defunct publishing company, where I learned a lot of fitness facts – and a lot more fitness industry facts. In a lot of ways, the pursuit of the fitness industry is a noble one: to provide people with the information they need to make better choices and lead healthier lives. But the fitness business is, first and usually foremost, a business – which often means that the bottom line comes first, and allegiance to the mission comes second. I still buy and read fitness magazines all the time, but thanks to my experience on the inside, I definitely look at them in a different light, and I’m better able to suss out what advice is valuable and what might be exaggerated or, in rare but not nonexistent cases, even misleading. 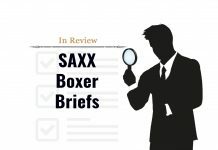 So to help you become a more discerning consumer of fitness media, I’ve put together this list of fitness industry facts that insiders know, and you should too. Imagine you could make your biceps look bigger, your waist look smaller and any areas of excess fat just magically disappear. If you want to achieve this kind of transformation, don’t waste your money on a personal trainer – just hire a good graphic designer. 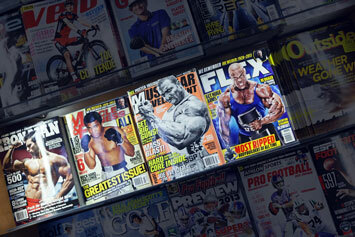 As the managing editor of a top fitness magazine, my job was to work closely with the art director to help bridge the gap between the editorial team who writes, edits and produces each story, and the graphic design team, who pairs the copy with images and lays it all out on the page. In this role, I got to peer behind the curtain to see exactly how photo editors and graphic designers make fitness models look so jacked, ripped and perfectly proportioned… and the results were both disappointing, and, somewhat paradoxically, encouraging. The short version is this: every image you’ve ever seen in, or on the cover of, a fitness magazine has been significantly touched up in photoshop. Bad lighting has been compensated for, unflattering rolls or flaps have been removed, skin tones and colors have been changed to look more flattering, eyes have been widened and opened, and umpteen other cosmetic changes have been made to ensure the models look their absolute best. I have to admit that when I first found this out, I felt both betrayed and a little embarrassed. Betrayed because I felt that, as a long-time consumer of fitness magazines, I had been duped by the photo editors who made models look better than they actually should – and embarrassed that I didn’t realize this was happening all along. But before they get manipulated, the photos look much more realistic – and relatable. Sure, the models pictured are still super fit, but not superhuman. Even the fittest people in the world, who have been training for months in preparation for a photoshoot, still have unflattering angles, extra rolls here and there, and all the other foibles that beset you and I. So don’t get discouraged when looking at photos of fitness models. You may never see what they looked like before the photoshopping, but trust me: it’s a lot more attainable than you think. Previously, I thought being fit meant looking like the super-ripped (and as mentioned, photoshopped-to-perfection) models on the magazine’s cover, with less than 10 percent body fat, bulging muscles and vascular veins. But being on the inside revealed something to me that the huge font and the cover lines excoriating you to “GET RIPPED NOW” failed to mention: getting that ripped is one thing, but maintaining it is (basically) impossible. 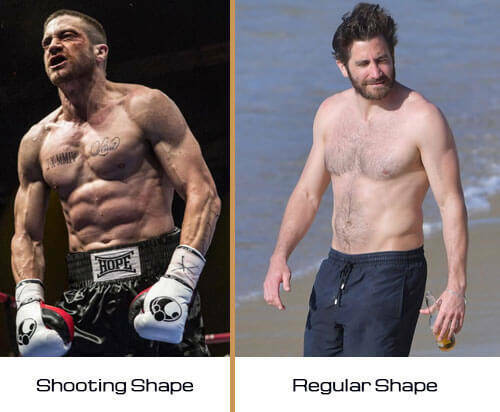 There’s no doubting that, some photoshopping notwithstanding, the super ripped models you see on magazine covers – and, increasingly, the super ripped movie stars you see in superhero movies – really are insanely fit and insanely jacked. On a scale from 0 to 10, they’re a 9, easily. However, it’s important to remember that they’re not a 9 every single day. Sure, they’re still very fit and athletic, but on most days even the super-fit cover models might be somewhere between a 6 or an 8, rather than a 9 or 10. When they know they have a photoshoot, shirtless scene or fitness competition coming up, these guys amp up their training and slim down their diets to levels that would be impossible to maintain (and in the next point I’ll explain why it would actually be unhealthy, too). You can actually see this for yourself thanks to the rise of paparazzi culture, and their obsession with shooting celebrities as they enjoy a day at the beach. 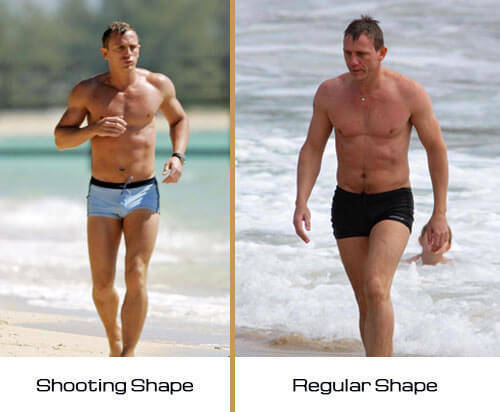 Candid shots of guys like Daniel Craig, Jake Gyllenhaal and Ben Affleck, all of whom have appeared on screen looking like nines, have appeared on the beach looking more like sixes – or potentially even less. So keep in mind that it’s still possible to be fit – almost in superhero shape, even – even if you don’t see rippling muscles and bulging biceps when you look in the mirror. And if you do reach that pinnacle and get yourself into upper echelon of fitness, don’t be too hard on yourself when you inevitably slip and start to backslide. You’re probably no more than a month away from getting back into absurdly great shape. 3. The key to a good fitness photo? Dehydration. One of the fitness industry’s dirtier little secrets is that some of the practices they use to look great are pretty far from healthy – and in some cases, might actually put them at risk. As mentioned above, before a fitness competition or photoshoot, models will put themselves on an insanely tight diet in order to shed as many excess pounds as possible before going in front of the lights. They ramp this up even further in the two days before the shoot by limiting how much water they take on in order to avoid looking too bloated. In fact, one trick fitness models will often use is to drink a couple glasses of wine (or for larger men, even a whole bottle) the night before a shoot. Alcohol dehydrates you, so drinking the wine essentially helps drain their muscles of what little water was left in them, giving them a ripped and fat-free appearance – and making them feel dizzy, light-headed and, paradoxically, weak. After a few days of barely eating and not drinking any water, it’s not at all uncommon for models to overdo it on the dehydration and find themselves stumbling, or in some cases even passing out on set. Sure, they may look absurdly ripped, but not only is it unsustainable – as mentioned above – but it’s actually ridiculously unhealthy. 4. The muscles are (mostly) real. The weights? Not so much. Have you ever looked at a fitness photoshoot and felt a pang of envy as some monstrously sized man curled a gigantic dumbbell labelled 70, 80 or 90 pounds? Well, good news: if your goal is to one day emulate that shot, you don’t have to start Googling “how to buy steroids.” You can just do what the photographer or art director for that photoshoot did, and Google “fake weights” instead. Within the fitness industry, using dumbbells and barbells that make the models look stronger than they are is a well established – and occasionally admitted – practice. Upon first learning this, you can absolutely be forgiven if you feel deceived. After all, it does seem pretty shady to imply that a workout routine will make you stronger, then show a picture of a guy lifting a styrofoam weight with a grossly inflated number on it. The reason the fitness industry often gives to justify this practice is the safety of the model doing the photoshoot. 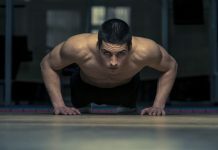 Shoots almost always go much longer than a regular workout would – it can take anywhere between six to 12 hours to shoot a workout that’s only meant to last one or two. But in my experience, once the decision to use fake weights has been made, the photography team often can’t resist the temptation to use a size of weight that’s just a little larger than the model would probably lift in real life. Why have your super ripped athlete curl a 60 pound dumbbell when he could be curling an 80? The result is often photoshoots that look great at first glance, but cause a bit of cognitive dissonance when you start looking more closely. Fitness magazines have, pretty much from the beginning, basically been in the business of pushing pills (and in some cases, powders). Dietary supplement manufacturers would buy ads in fitness and health titles, which supported the creation of editorial content that tacitly – and sometimes explicitly – further endorsed the use of those products. There’s nothing inherently wrong with this model in and of itself; instead, the trouble comes from the types of pills these companies are pushing, and their dubious levels of effectiveness. Take vitamin supplements, for instance. Flip through the pages of almost any fitness or health magazine and it won’t be long before you come across an article or anecdote encouraging you to supplement your vitamin intake with pills in addition to getting them from whole, healthy fruits and vegetables. Vitamin E does not prevent prostate cancer. 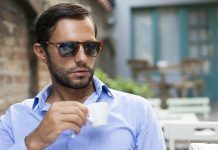 In fact, there’s some evidence it actually increases risk in men over 50. Multivitamins do not prevent cancer or cardiovascular disease. And they don’t have many other benefits, either: “Nor were daily multivitamins any better than a placebo at helping men to fend off age-related declines in mental sharpness in a large study of 5,947 male physicians,” writes Consumer Reports. Omega-3 pills do not protect the heart. Is There Power in Powder? And these aren’t the only suspect supplements – far from it, in fact. 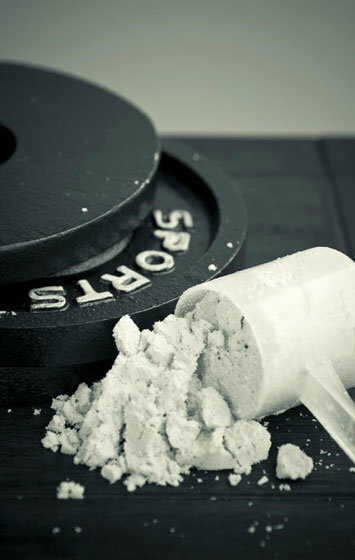 Even protein powder, a staple of gyms around the world and the favorite supplements of skinny guys who want to bulk up, can provide questionable returns. 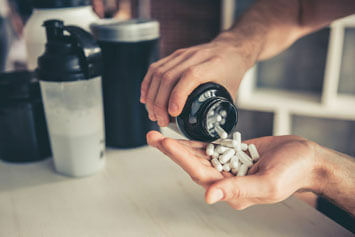 But, again, supplements are complicated, so depending on your goals and – importantly – your workout regimen, you may not want to flush that tub of protein powder just yet. All of which is to say, supplements are extremely complex and there’s a lot of very good reason to be very skeptical before taking them. I personally do take protein powder after my workout, and recommend it to others who are actively trying to add muscle to their frame, with the caveat that it’s not for everyone and you need to ensure you’re using a reputable brand. But because the fitness industry has a close relationship to, and vested interest in, propping up the companies that manufacture these products, they often aren’t as critical of them as you might expect (and hope) they would be. 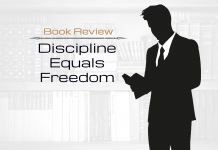 Jacobs specializes in delving deep into a topic and immersing himself in it so deeply that it upends his entire life. Some of his past projects include the two years he spent reading every single word in the Encyclopedia Britannica (this was back when there were encyclopedias) for his book The Know-It-All: One Man’s Humble Quest to Become the Smartest Person in the World. He spent another year attempting to follow the bible literally for his aptly named book The Year of Living Biblically: One Man’s Humble Quest to Follow the Bible as Literally as Possible. 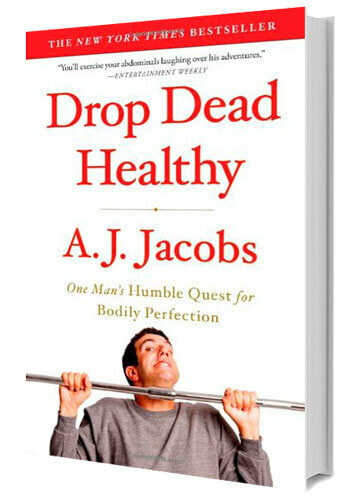 For one of his more recent projects, he attempted to apply his all-in, full-immersion methodology to the world of health and fitness, which resulted in his book Drop Dead Healthy: One Man’s Humble Quest for Bodily Perfection. After delving fully into every bit of research he could find on what actually makes you healthy, what he discovered was that the healthiest things you can possibly do – the actions that are most supported by research and evidence – really aren’t that revolutionary. …well, there is no “and.” That’s basically it. 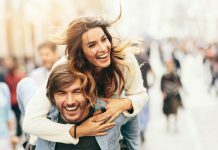 Of course, it’s hard to sell 12 glossy 100-page issues per year, plus four special issues dedicated to specific body parts or lifestyle hacks, on just four basic and easy-to-follow principles. That’s why fitness magazines – and the entire fitness and health industry – is constantly boasting about “new” research and “innovative” techniques, diets, workouts, etc. that will help you “revolutionize” your fitness. But as Jacobs discovered, there are more charlatans and hucksters in the fitness and health space than in almost any other industry. 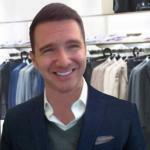 So don’t be taken in by the flashy new promises that arise each month like clockwork. Instead, focus on putting the common sense advice that you already know into practice, and you’ll automatically find that you’re 80-to-90% healthier than those who live unhealthy, sedentary lifestyles. If you want to learn more about the health practices that are actually supported by science and research, the best resource I’ve ever found is Tom Rath’s book Eat Move Sleep. 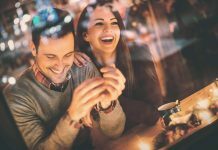 Rath does a deep dive into the research and provides extremely useful, actionable tips for how to integrate healthy best practices into your life. Maybe this is a natural result of the point above, which notes that the industry has to constantly invent new concepts in order to remain fresh, or maybe it says more about the predictable desires of those of us who consume fitness media. Either way, it’s one of the most well known of fitness industry facts: guys want big arms, low body fat and more muscle, so that’s what magazines sell us – in fact, that’s pretty much all magazines sell us. Take a closer look at the covers in the image I used above. 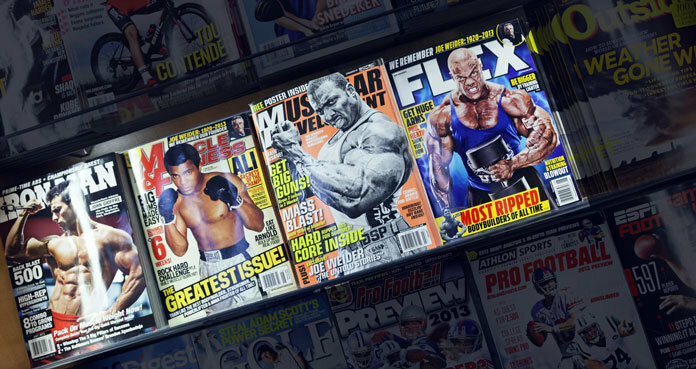 Only the fourth cover, Ironman magazine, failed to mention arms – instead it just featured an image of a jacked guy with big guns doing a cable biceps curl. The cover lines might be a bit hard to read here, but when you line up a few years’ worth of covers of the best-selling men’s fitness magazine on the stands, one thing becomes clear: these guys love going back to some tried-and-true themes. And Men’s Health is far from the only fitness title that’s guilty of this. Do a similar search for covers of Men’s Fitness, Muscle & Fitness, Muscular Development or any other fitness mags, and you’ll see a similar result. 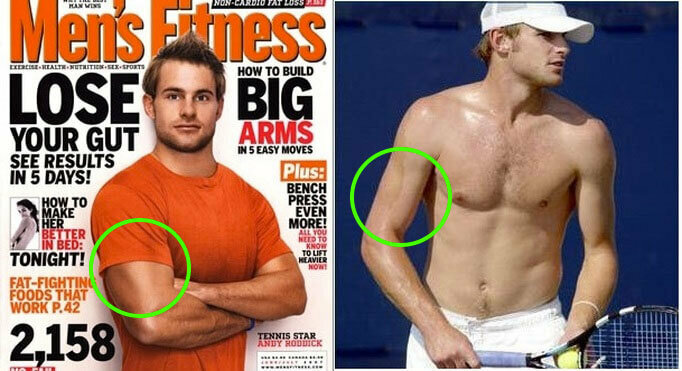 As I mentioned, I still read fitness magazines and continue to get a lot out of them. But it’s important to recognize them for what they are (products intended to improve a publisher’s bottom line) and what they’re not (peer-reviewed scientific journals). So whether or not you choose to read them is totally up to you, but I hope now you’ll at least feel a little more empowered to do so with a discerning eye. I will never send you spam. Unsubscribe at any time. 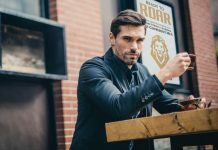 As the founder of Irreverent Gent, Dave shares insight and advice that helps guys look and feel their best, and jokes that make them wish he would just stick to insight and advice. Enter your email address below to learn six ways to add muscle mass to your frame. Thank you! Check your inbox to confirm your subscription. An email containing your muscle-building tips will arrive immediately after that. "I spent so much time working out without seeing results. There are a million sources telling you what to do in the gym, but so few telling you what to do outside of it. Thanks for helping me fill in the gaps... I'm finally starting to make progress!" 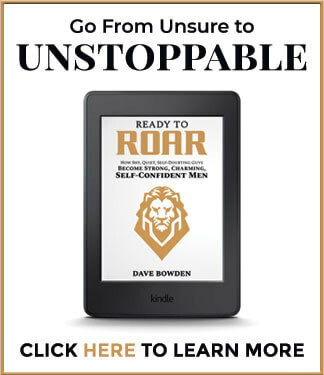 Sign up below to step up your self-confidence. Discover what you're not doing.